This morning (14 April 2016), my son (aged 9) and my nephew were playing (aged 5) were playing in the house. As is the case with most boys of this age group, the games turned physical, and at one point, the little boy fell down and hurt his head. Within a few seconds, we noticed a gooseberry-sized swelling on his forehead. We immediately applied ice to the swollen area and consoled him. His mother, a physician (and that too a conservative one) gave him a dose of painkiller and opined that it was too early to worry. If he started throwing up, we would need to be concerned. The next step then would be an MRI and the child would need to be anesthetized for that. Within 15 minutes, the child vomited, felt drowsy and went to sleep. The mother attributed this to either trauma or the painkiller. She resisted mounting pressure and suggested (with slightly less conviction than before) that we wait for another 2-3 hours before taking the next step. At this point, I decided to lie down next to the boy, and within a few minutes dozed off keeping my hand on the boy’s forehead and praying to Periyava. Two things flashed through my mind at this instant: 1. 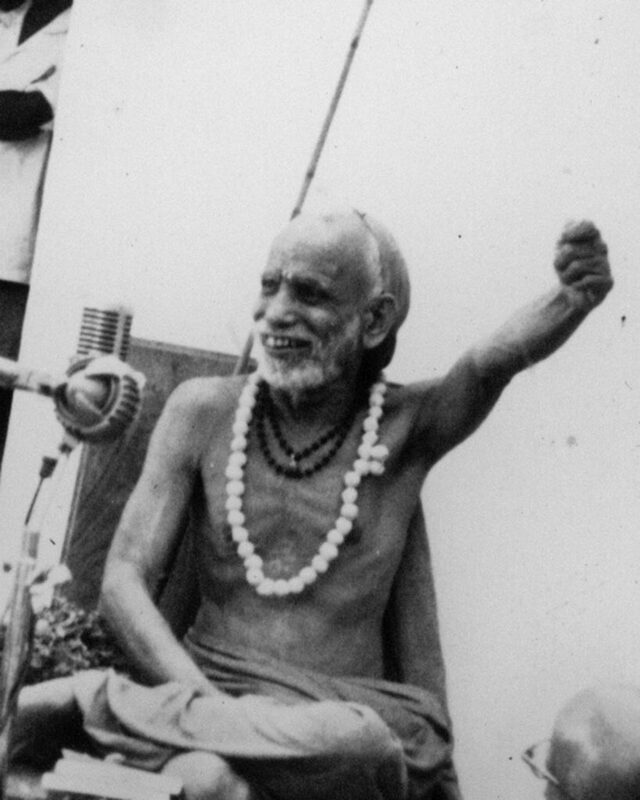 I would receive Periyava’s picture shortly, telling me that everything would be fine. 2. I was reminded of an anecdote I had read wherein Periyava’s tongue was burnt because a devotee offered Him hot milk at his house that morning. I prayed to that sarvavyapi. Thanks to Shri Vaidyanathan of USA who is now in Coimbatore for his Sons Upanayanam for sharing this incident. It incident was narrated to Shri.CPMG Jayaraman Mama who shared to us. UPDATED – August 2017: Here is the video interview of Shri Vaidyanathan recorded almost a year and a half later after this incident at Skillman – New Jersey where he came for darshan of “Moolavar” of Sri MahaPeriyava Manimandapam – NJ USA. This incident is narrated by Shri.Kannan of USA who is now in Coimbatore for his Sons Upanayanam. This incident was narrated to Shri.CPMG Jayaraman Mama who shared to us. Again another point to prove that Guru does not forsake a devotee who has held guru’s feet. அனந்தகோடி அற்புத ஆச்சர்ய தெய்வம் ! ஆசார்யாளான ஆனந்த நடமாடும் தெய்வம் ! இம்மைக்கும் மறுமைக்கும் இனிக்கின்ற தெய்வம் ! ஈசனென காட்டாமலே எங்களை உய்விக்கும் தெய்வம் ! உண்மைக்குள் உண்மையாய் உறைந்திட்ட தெய்வம் ! ஊமையையும் பேசவைத்து, பாடவைத்த தெய்வம் ! எம்மையும் ஒரு பொருளாக்கி வினையாற்றும் தெய்வம் ! 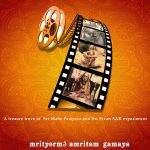 ஏற்றந்தரும் குரு சேவையில் சேர்த்துவைத்த தெய்வம் ! ஐயங்கொள்ளாது அனைவரும் போற்றும் தெய்வம் ! ஒப்பும் உவமையும் இல்லா கருணை தெய்வம் ! ஓங்கார பொருளாகி நிறைந்துவிட்ட தெய்வம் ! இக்கணமே இங்குவந்து அருளிட்ட தெய்வம் ! தெய்வத்துள் தெய்வம் !தெய்வத்துள் தெய்வம் ! சந்திர சேகர சரஸ்வதி என்னும் தெய்வத்துள் தெய்வம் ! Mahaperiyava is always there for His devotees. No Proof is required where Sri Maha Periava is concerned. Namo Namaha Sri Guru Padhukabhyam. Maha Periyava ThiruvadigaLe Charanam! He never will forsake His Devotee! The child received Maha Periyava’s Blessings! Hara Hara Shankara! Jaya Jaya Shankara! Sri Rama Jayam! Yes SRI SRI SRI SRI MAHA PERIYAVA takes care of us always. The child n family r blessed n protected by periyava. A very lucky family indeed. Hara hara sankara jaya jaya shankara. If you believe Shri Maha Periyava, HE will take care. Another Proof. Maha Periava is always with us to guide us and help us . What we have to do is total charanagathi to His lotus feet . Very fortunate family to have His Kataksham. Jaya jaya sankara hara hara sankara. Jaya Jaya Sankara Hare Hare Sankara!!! !